Home - Elville Center for the Creative Arts, Inc.
Make a monetary pledge or donate a musical instrument today. 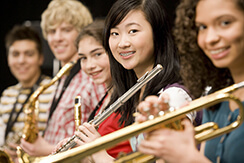 The purpose of the Elville Center for the Creative Arts is to improve the quality of life of children of all ages by providing them the opportunity to learn music theory and application, experience cultural events related to the musical and creative arts, and to use music and the promotion of music-related activities to transcend social and economic divisions. We are working with local and regional businesses and private donors to partner with schools’ music programs to provide musical instruments, rentals, music lessons and participation in music-related activities for children of all ages. We’re actively seeking monetary pledges and donations of used instruments of any kind, which will be refurbished (Donations may be tax-deductible. Please consult with your tax advisor). As a proud supporter of music and the creative arts, the Elville Center would like to recognize the following organizations for their support and for the positive difference they make in the community. The attorneys and staff of Elville and Associates are proud of the firm’s charitable organization – The Elville Center for the Creative Arts. Founded on June 30, 2014, The Elville Center is a 501(c)(iii) non-profit corporation that partners with local and regional businesses such as the classical music station 91.5 WBJC, Music and Arts, schools, the Columbia Orchestra, and other non-profit organizations to provide music instruments, music instrument rental, music lessons, and participation in music-related activities to and for children of all ages throughout Maryland and the mid-Atlantic region. 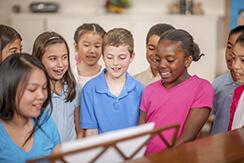 The purpose of the Elville Center is to improve the quality of life of children of all ages by providing them the opportunity to learn music theory and application, and experience cultural events related to the musical and creative arts; and to use music and the promotion of music-related activities to transcend social and economic divisions. As most of our clients are aware, Elville and Associates is an active sponsor of the arts through its support of WBJC classical radio and performances.  The firm also promotes awareness of the arts by providing clients with opportunities to attend events at The Kennedy Center, The Strathmore, Modell Lyric Opera House, and other venues. 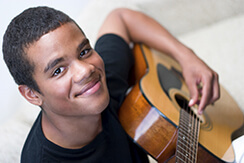 Although Elville and Associates has traditionally supported and promoted music in the classical genre, student participants in Elville Center-sponsored educational activities have the ability to choose their own musical paths based on their own individual preferences, talents, and goals. 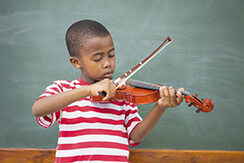 Your monetary donations and used musical instrument donations are critical to the success of The Elville Center’s mission. In addition to individual and corporate donations, Elville and Associates began its own contributions to the Elville Center in June, 2014. It is the hope of Principal, lead attorney, and founder of The Elville Center, Stephen Elville, that this charitable initiative will capture the imaginations and enthusiasm of our clients, business partners, and the community at large culminating in the fulfillment of many dreams and a continuation of the music. If you are interested in The Elville Center for the Creative Arts and would like to learn more, or if you would like to make a donation or pledge, please contact Jeff Stauffer, Director, at 443-676-9691, email at [email protected], or please visit our website at elvillecenter.org. Personal meetings with Stephen Elville for further discussion of The Elville Center are available upon request. Elville & Associates engages clients in a multi-step educational process to ensure that estate, elder law, and special needs planning works from inception, throughout lifetime, and at adminstration. Clients are encouraged to take advantage of the Planning Team Concept for leading-edge, customized planning. The mission of Elville and Associates is the education of clients and their families through counseling and superior legal-technical knowledge. The Elville Center would like to thank Maryland’s Classical Music Station, 91.5 WBJC, for its unwavering support in spreading the word about the charity and helping get donors of musical instruments for our partner schools. Read about Steve Elville and the Elville Center in the 2017 Maryland Edition of Super Lawyers Magazine! Listen to the Elville Center’s 1/16/17 WBJC interview with Executive Director Jeff Stauffer and Dr. Max VanDerBeek of Wiley H. Bates Middle School. Listen to Steve Elville discuss the charity on WBJC. Listen to the Elville Center’s 6/3/16 WBJC interview with Executive Director Jeff Stauffer and Children’s Home CEO Andre Cooper. The Elville Center for the Creative Arts is working to make a musical difference in the lives of children throughout Maryland by partnering with school music programs and other organizations throughout Maryland. The Elville Center is helping music programs fill needs they have in their programs by providing donated refurbished musical instruments, much-needed supplies such as instruments cases, reeds and oils, fixing instruments in their inventories that need attention, and getting them the instruments they need to help their programs and students be successful. On June 16th, The Elville Center for the Creative Arts was privileged to receive a Community Service Award from The Children’s Home at its Annual Meeting, held at Matthews 1600 in Catonsville.